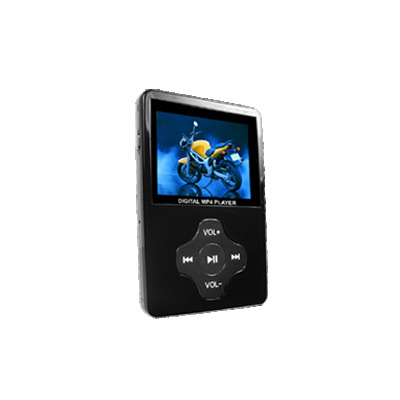 Successfully Added Elite MP4 Player with Camera - 2.4 inch Screen - 4GB + SD Slot to your Shopping Cart. This 8-in-1 Multifunction MP4 Player Digital Camera, is sure to impress with a smooth matte finish, wicked 7 setting EQ and awesome 2 MP camera you'll be well equipped wherever you go. With its incredible looks, great multimedia functions, and a crisp full color screen, this is a sure hit for music fanatics, photographers, and gadget lovers everywhere. Great battery life and a useful light for video and photo capture are stand out features for this very attractive package. The low Chinavasion wholesale price means this elite Digital Camera MP4 Player is a profitable resale product while still being an affordable choice for consumers. Note: When in Photo or Video Record mode, press the left button to access camera menu, and then choose flashlight setup for pictures or lamp setup for videos to switch this function on or off. I have been very happy with my player. I like the fact I can use memory cards, and the battery life is great. I also had some marks under the viewing screen but I disassembled it and fixed it. The headphones are worthless, but I had planned to use my own anyway. The only other thing I would like to say is that more clear instructions would be helpful. All and all I still think it is a great bang for the buck. Player is very good value for money - as previous reviews some good & some bad points. My specific player, unfortunately has some marks under the screen which can not be removed and is slightly annoying. The manual is very difficult to de-cypher which I suppose is par for the course. However even with these niggles you can't knock the build qualty (very sturdy but still lightweight) and lots of good features to offset the bad. I bought this a little while ago. It is a decent product with many pros and cons. Overall, this player is great for the money, and has more functions then an ipod nano/video. I would recommend it for anyone who wants to save money and get a good product.